Today ONLY - Home Depot is offering Up to 20% off Select Grills and Smokers! Shipping is FREE! We love our Masterbuilt 40 in. 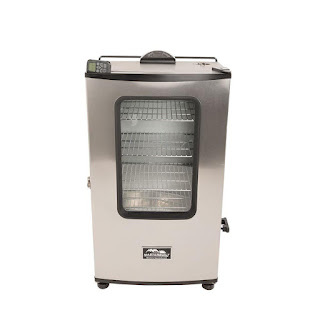 Digital Electric Smoker with Window now only $268.31 (Reg. $335.39)! Perfect for Father's Day! 4 chrome-coated smoking racks — smoke up to 100 lbs. of food!